Hailing from Little Rock, Arkansas, and possessing a voice the Onion A.V. Club warns “knocks your brain into the back of your skull,” Adam Faucett has drawn comparisons from Tim Buckley to Cat Power to Otis Redding. Called “one of the greatest, most thoughtful lyricists the state has to offer,” (Arkansas Times) Faucett has again pushed the borders of his “part folk, part blues, part elemental rock stomp, part unidentifiable cosmic holler” (Arkansas Democrat-Gazette) with the release of It Took the Shape of a Bird, a record of his most personal, unbodied, and darkly beautiful songs to date. Faucett began performing solo in 2006 when the demise of Russellville, Arkansas-based band, Taught the Rabbits, pushed him toward Chicago. He returned to Arkansas in 2007 to record his first solo album, The Great Basking Shark, and began touring nationally. 2008’s Show Me Magic, Show Me Out followed, featuring Faucett’s band, The Tall Grass, and a relentless tour schedule soon led to shows with Jason Isbell, Damien Jurado and Lucero. 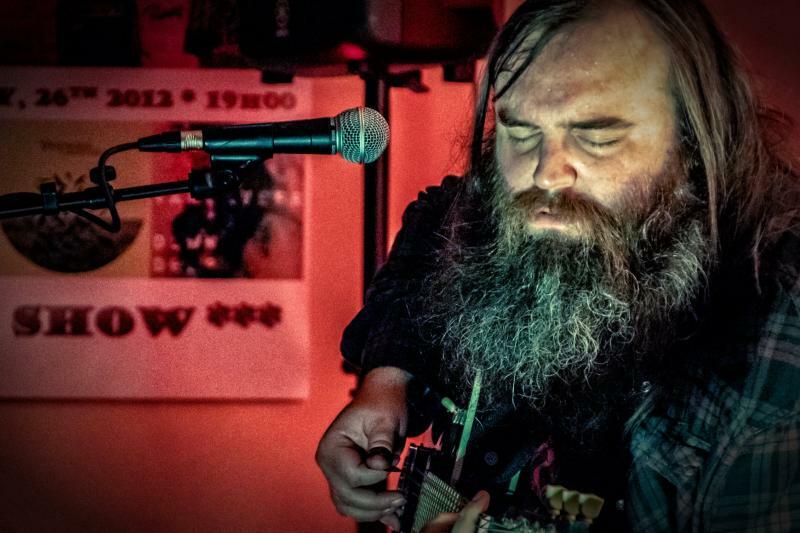 "One of Arkansas' great songwriting talents."